The Kick Sundal is a sun-sational choice for warmer weather. 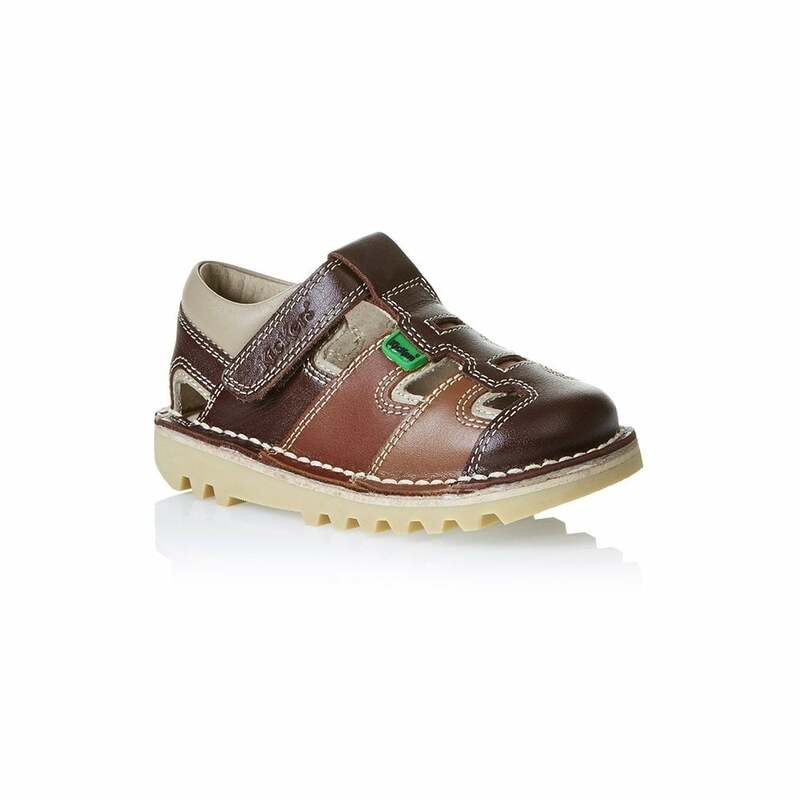 With a hook-and-loop strap and supportive construction, this is an ideal style for growing feet, while the covered toe will keep tiny toes protected from bumps and scrapes. Iconic Kickers red and green tabs and a detachable blue fleurette put the perfect colourful touches on this charming, summer-time style. StayKlean is our very own water-repellent treatment designed to keep suede and other easily damaged materials stain-free.